GAINESVILLE, FL – Vegetable and specialty crop growers have a new reason to attend the Florida Ag Expo (FAE) this year. The University of Florida’s (UF) annual grower gathering is poised for refocus and reinvention as AgNet Media takes over management of the event. It will be held at the Gulf Coast Research and Education Center (GCREC) in Wimauma, Florida, on Thursday, Nov. 21. Vegetable and specialty crop growers with suggestions for topics they would like considered for the Florida Ag Expo program are encouraged to email their ideas to Events@AgNetMedia.com. “We also welcome any input that may help us improve the overall event,” emphasizes AgNet Media events manager Josh McGill. FAE highlights will include seminars with continuing education units, a trade show, field tours, a free continental breakfast and hot lunch for growers, and valuable networking opportunities for growers, researchers and industry representatives. This year, greater emphasis will be placed on emerging crops for Florida that should be of keen interest to large and small acreage growers alike. A fundraiser for GCREC scholarships will be added as well, which will offer valuable prizes for attendees who participate to support the Center’s research scholarships program. In addition to taking on management of the Florida Ag Expo, AgNet Media has been confirmed by UF to publish its 23rd edition of the Vegetable Production Handbook of Florida. This popular resource for growers offers the best and most up-to-date information available on crop cultivars, cultural practices and pest management. The 2019–2020 handbook will be available this summer. A cooperative effort among state and county Extension and research faculty, the handbook shares expertise and advice that can help growers maximize production, sustainability and profits. Limited sponsorship opportunities are available in the handbook for companies serving Florida’s vegetable industry. Contact 352-671-1909 or Sales@AgNetMedia.com for details. 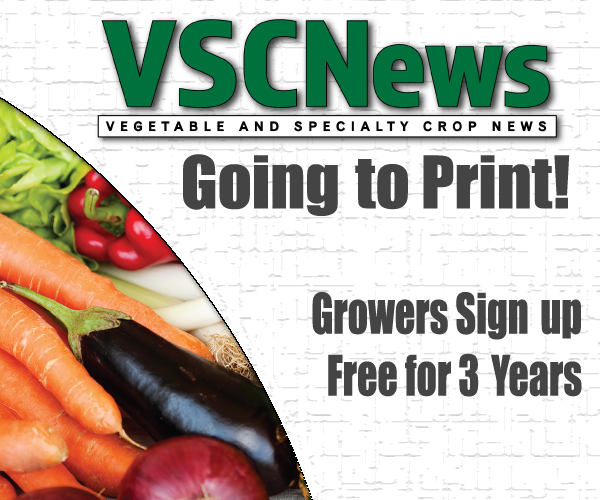 “University of Florida’s ‘Florida Ag Expo’ and the Vegetable Production Handbook have been mainstays for Florida’s vegetable and specialty crop community for years, and AgNet Media looks forward to the opportunity to provide and enhance these tools for the industry,” concludes Cooper.